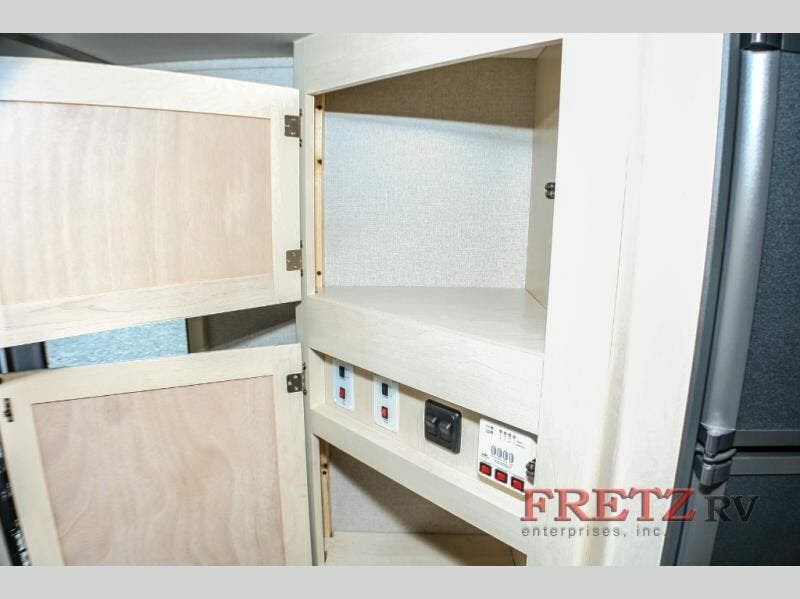 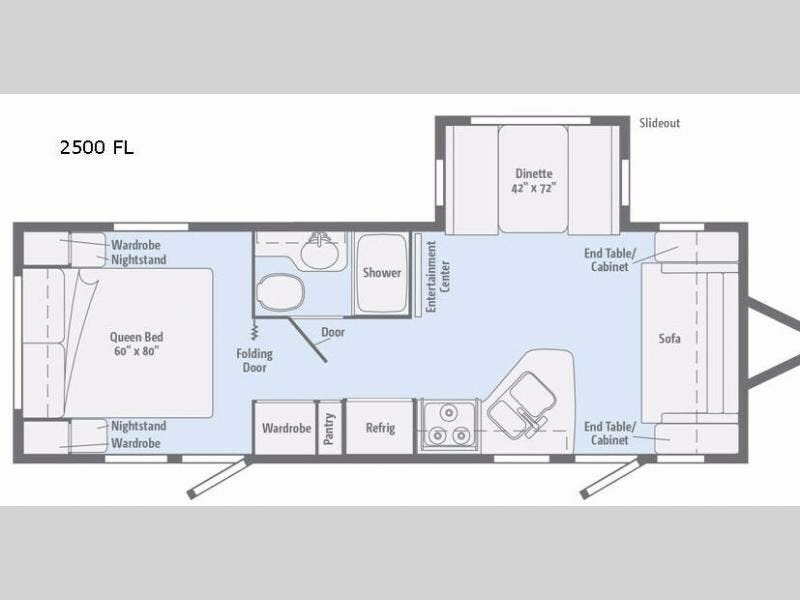 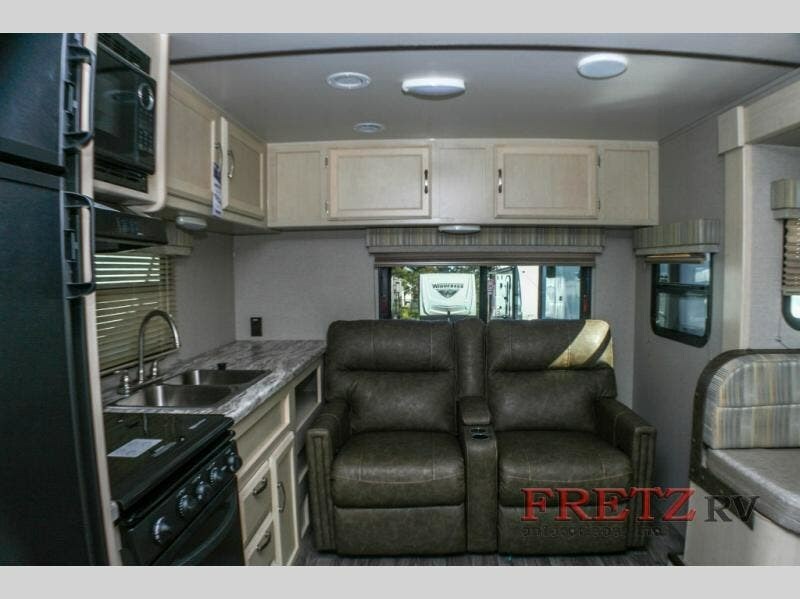 This unit includes 30# LP tank option upgrade, 15.0 BTU A/C upgrade, theater seating, RVIA Tag & Minnie Value Package. 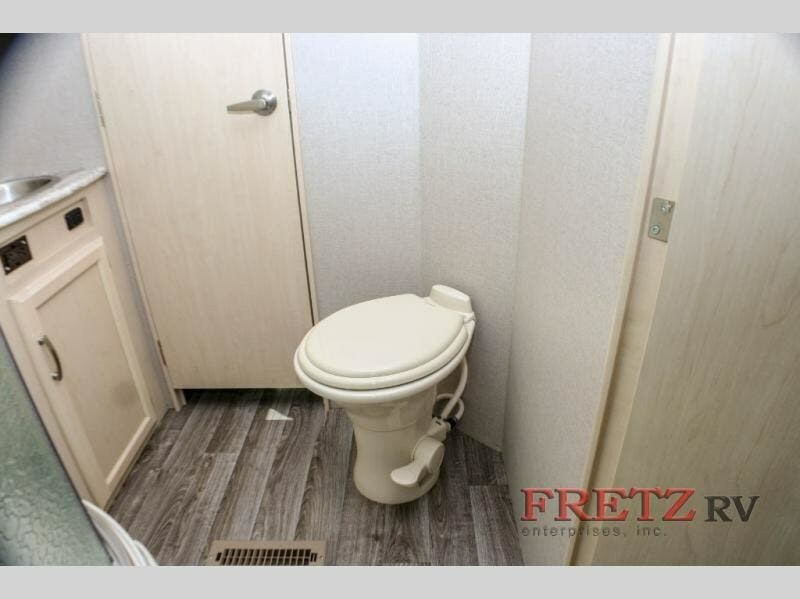 Dual entry has some nice benefits in any trailer. 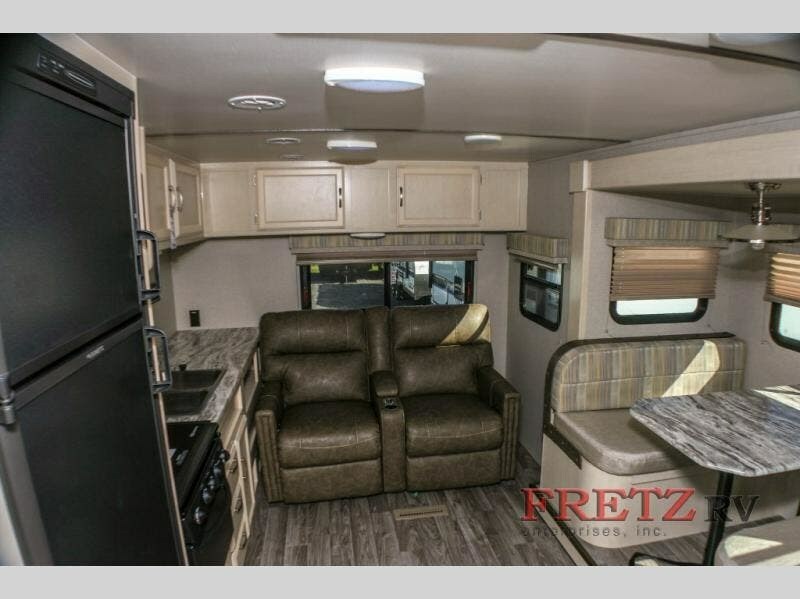 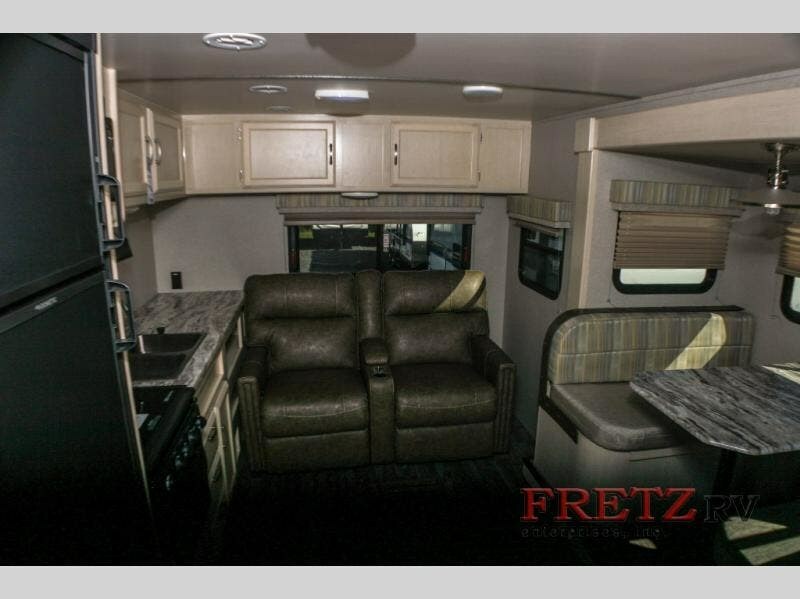 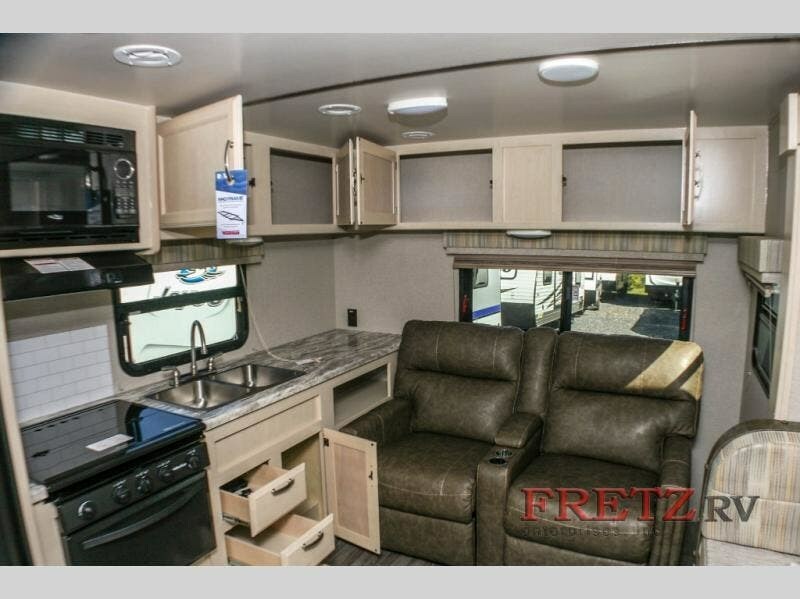 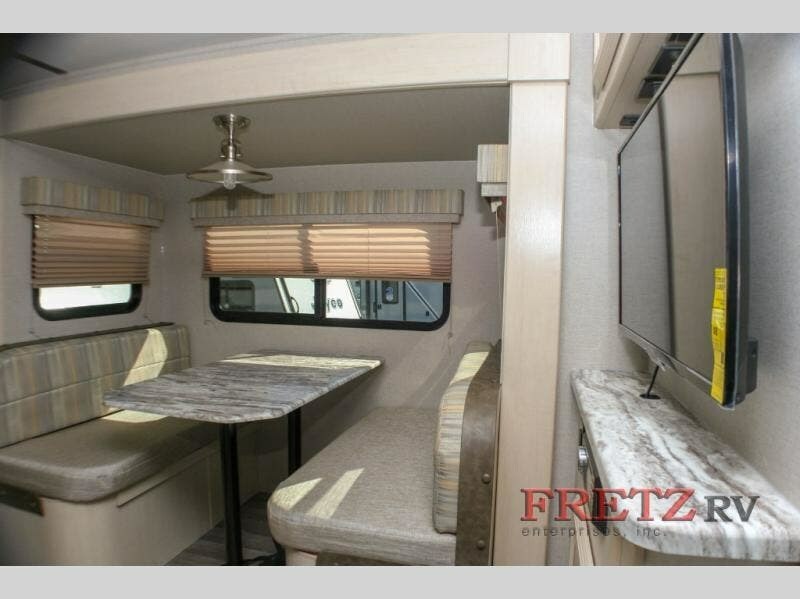 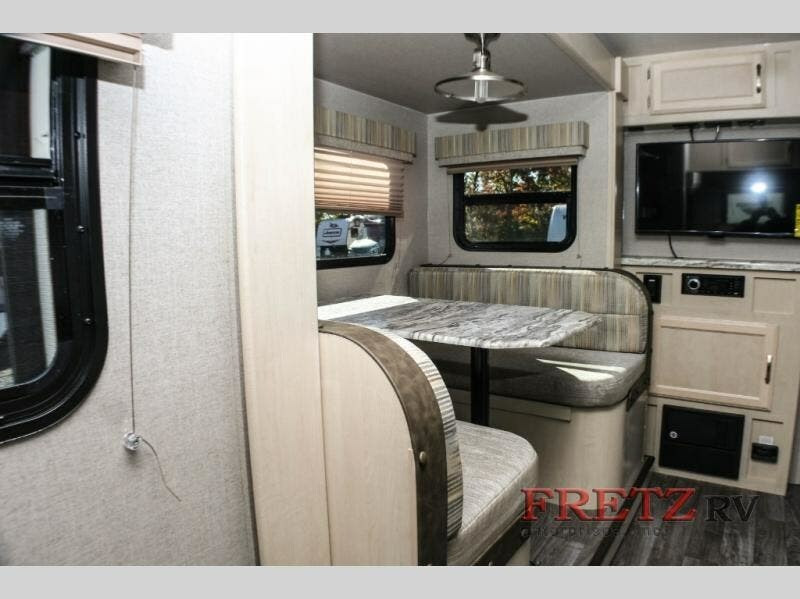 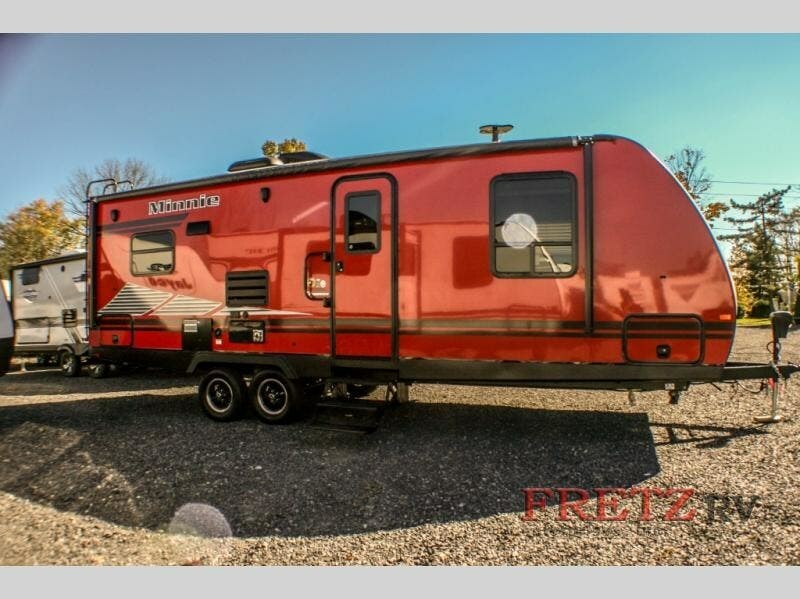 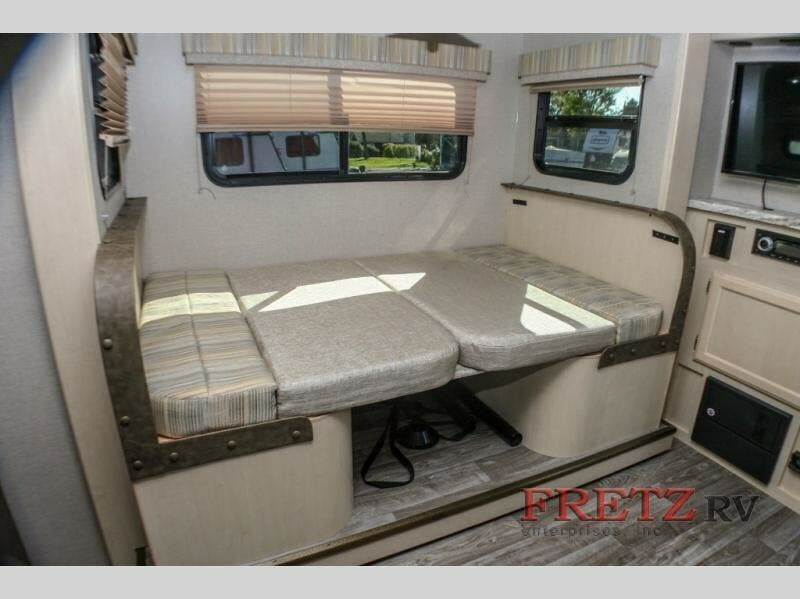 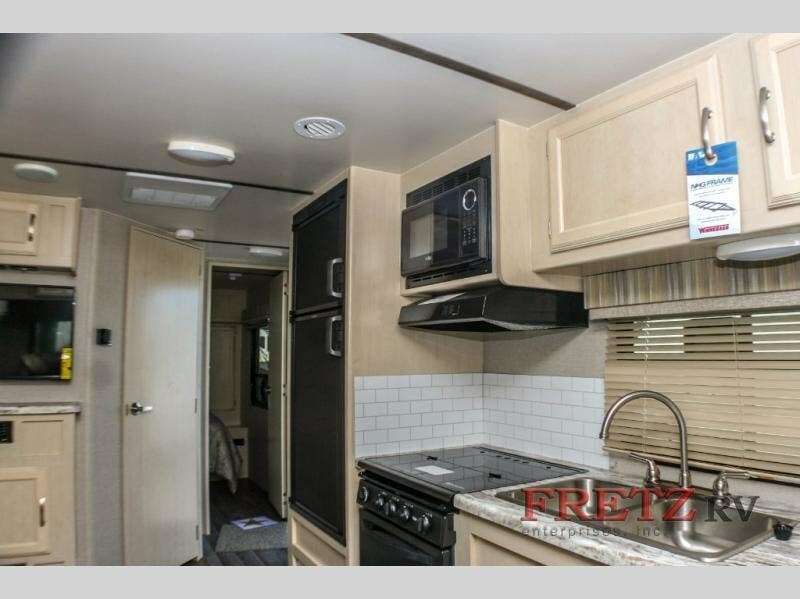 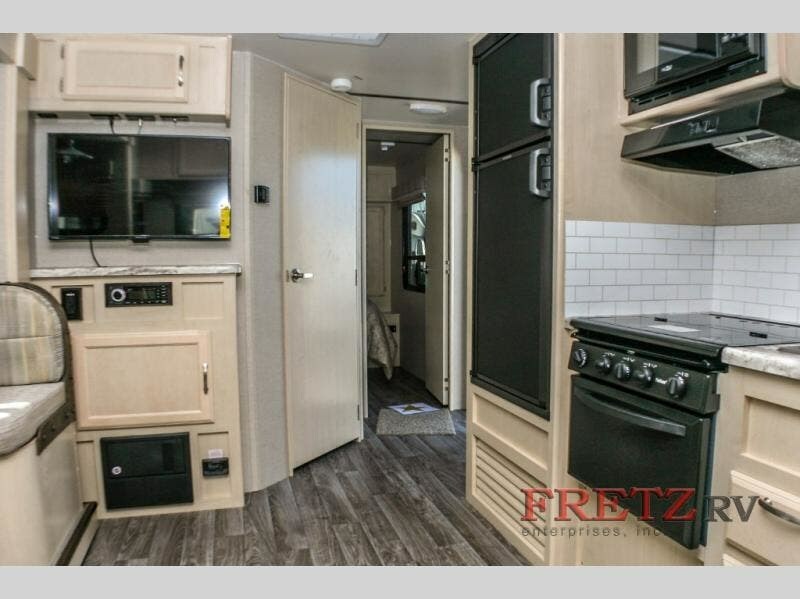 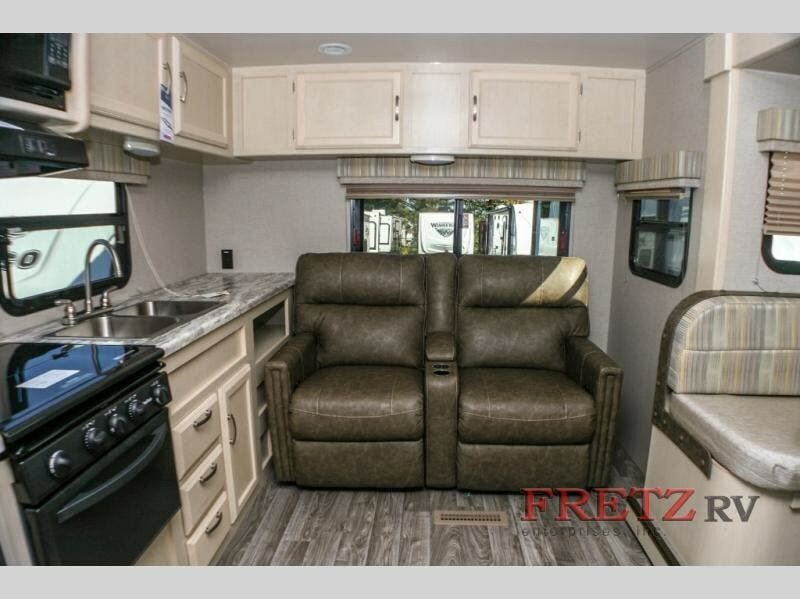 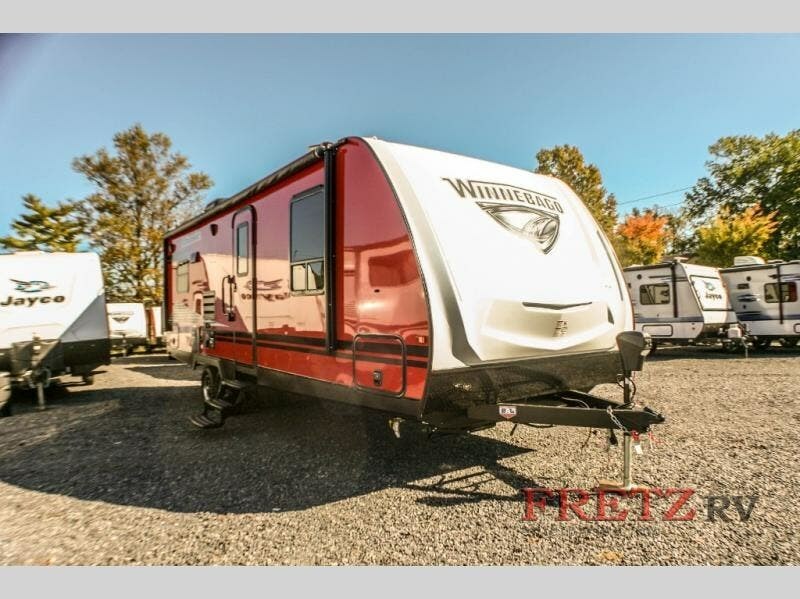 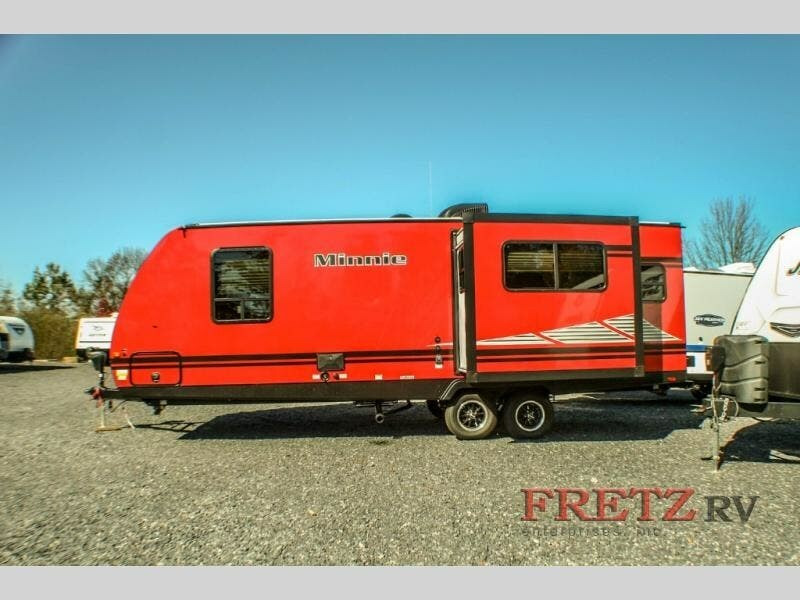 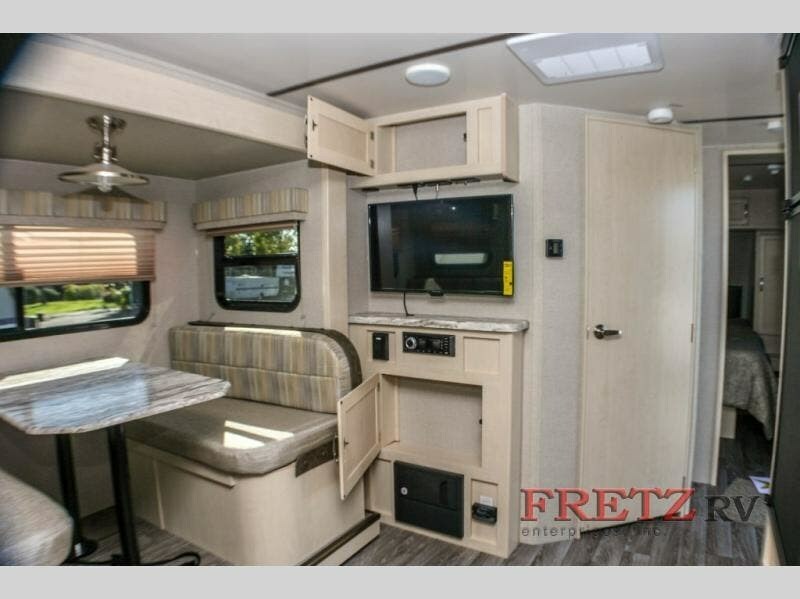 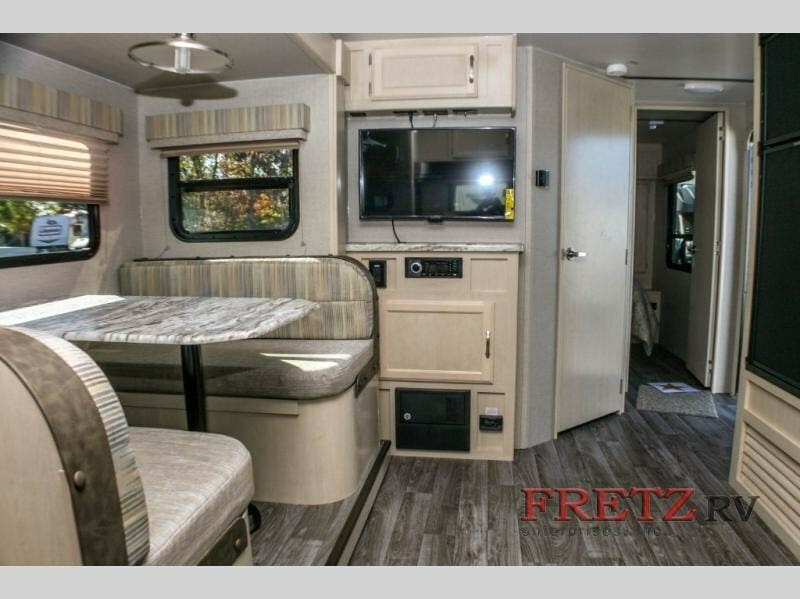 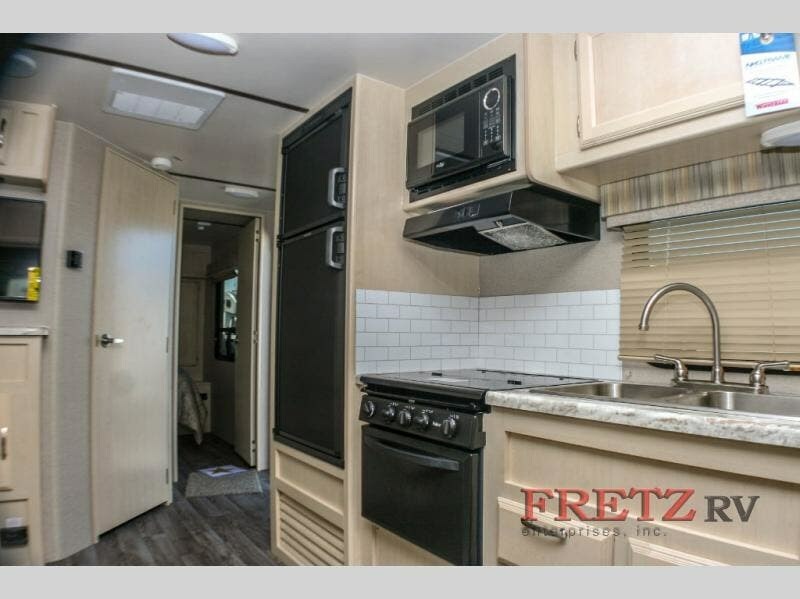 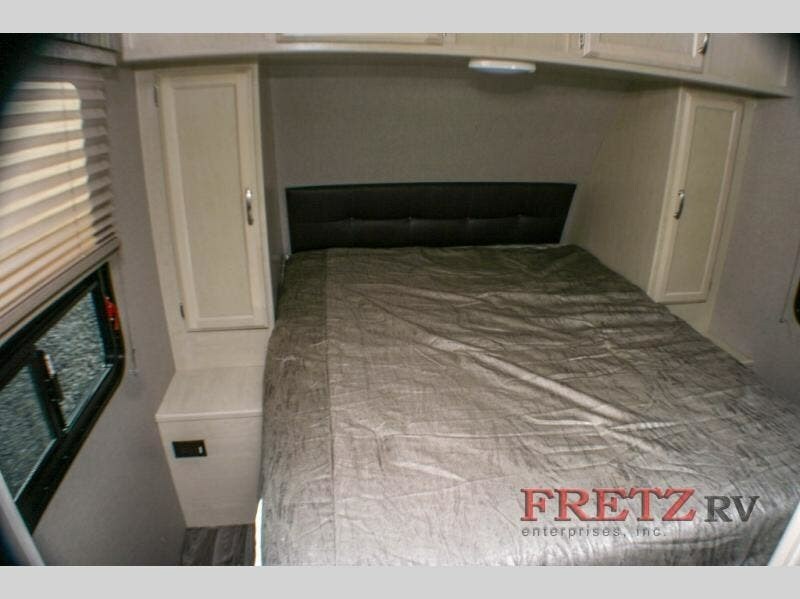 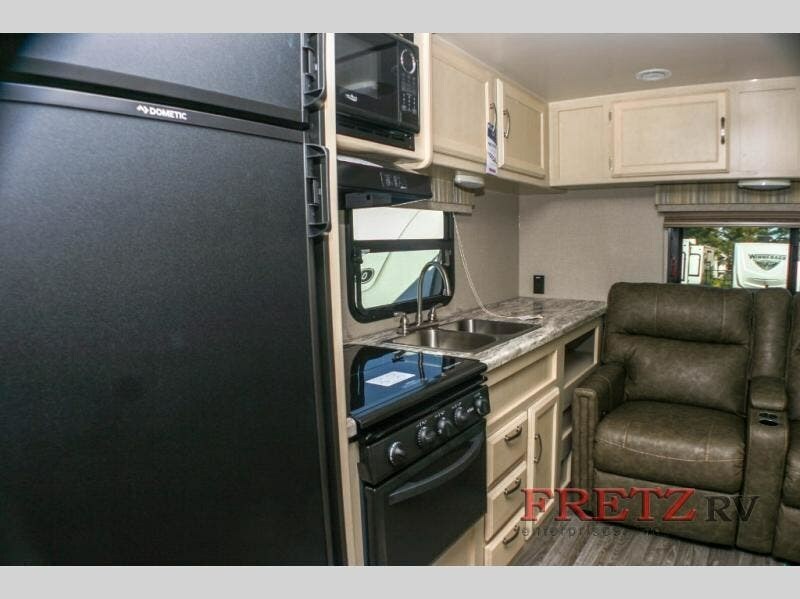 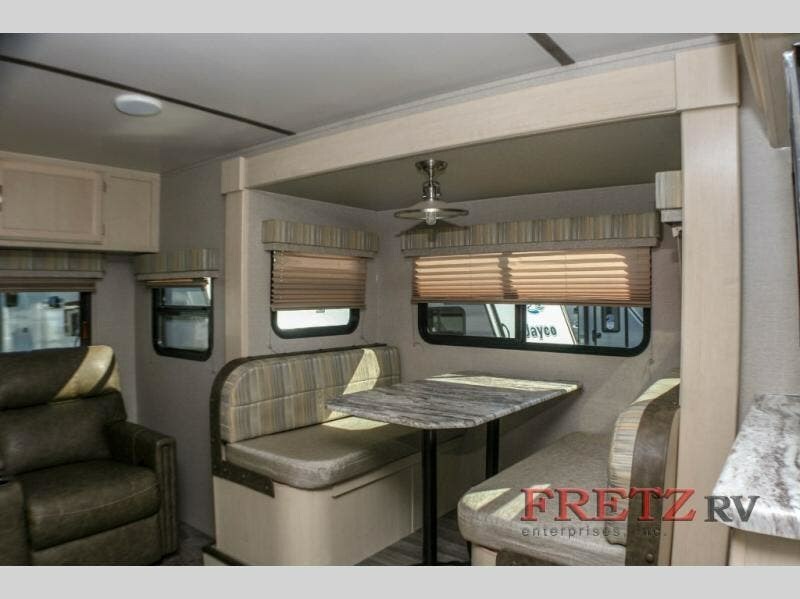 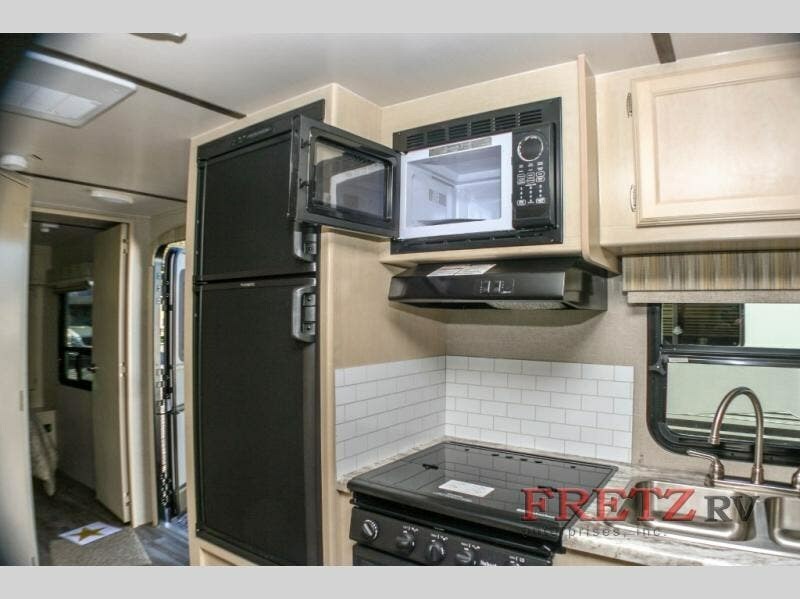 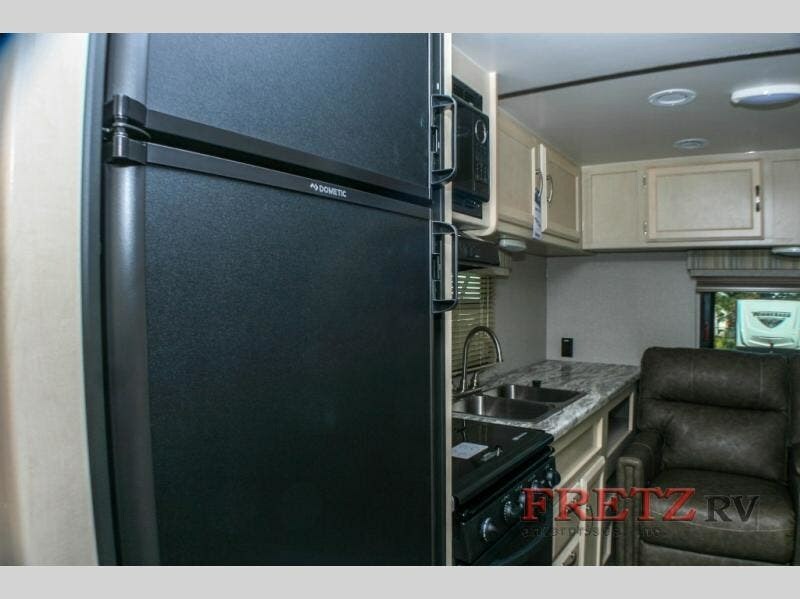 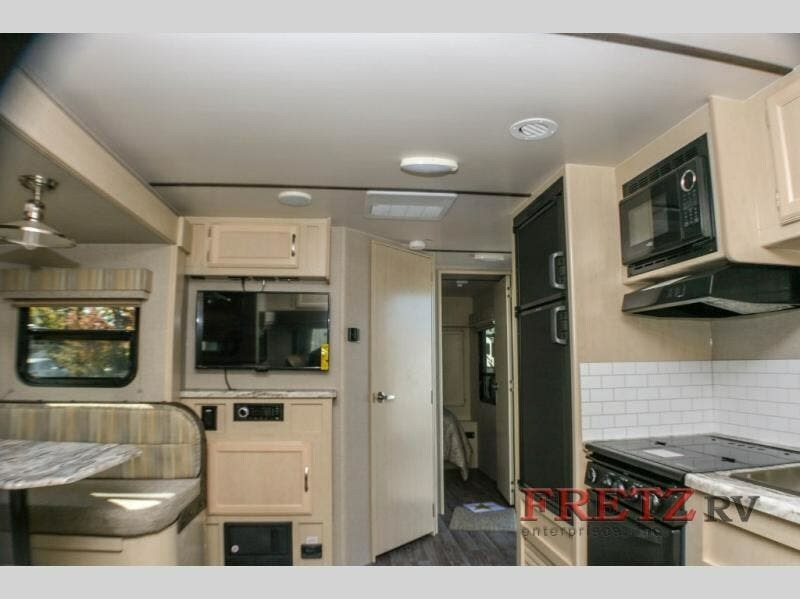 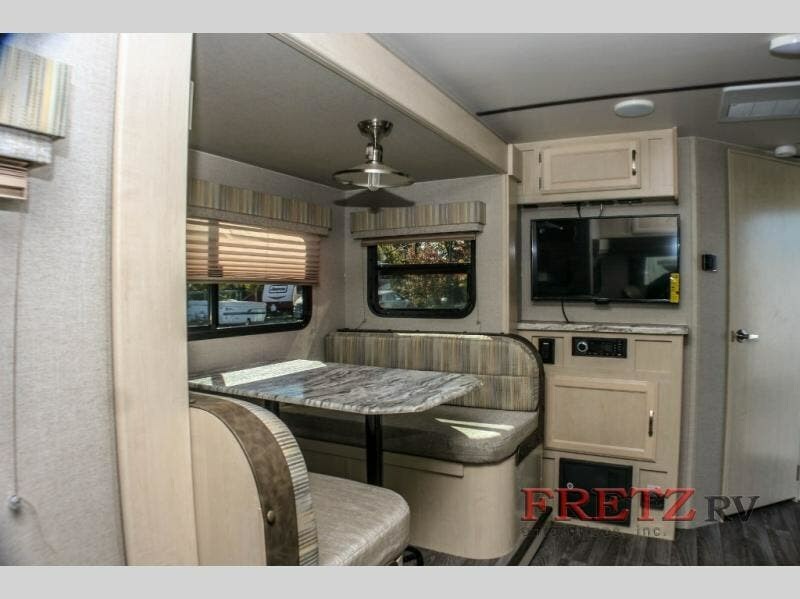 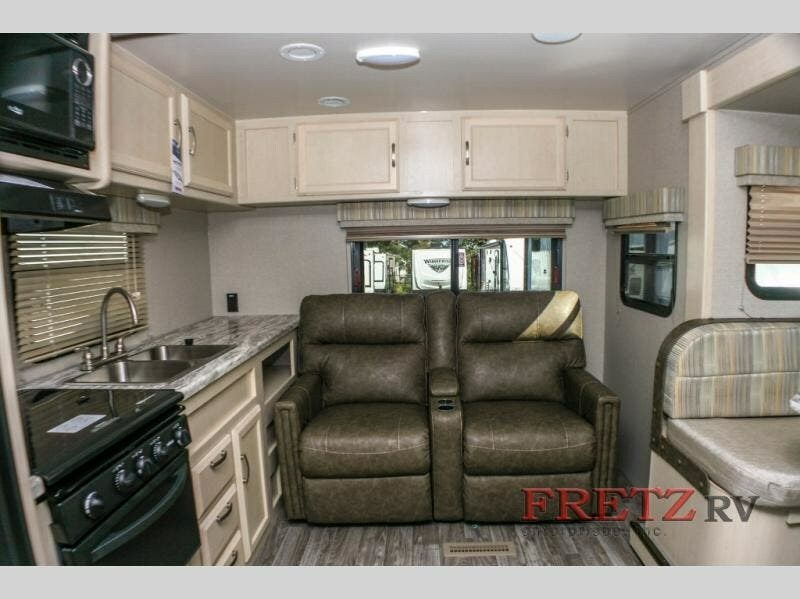 This Minnie 2500FL features dual entry as well as a single slide, a rear bedroom layout, LED lighting, plus so much more! 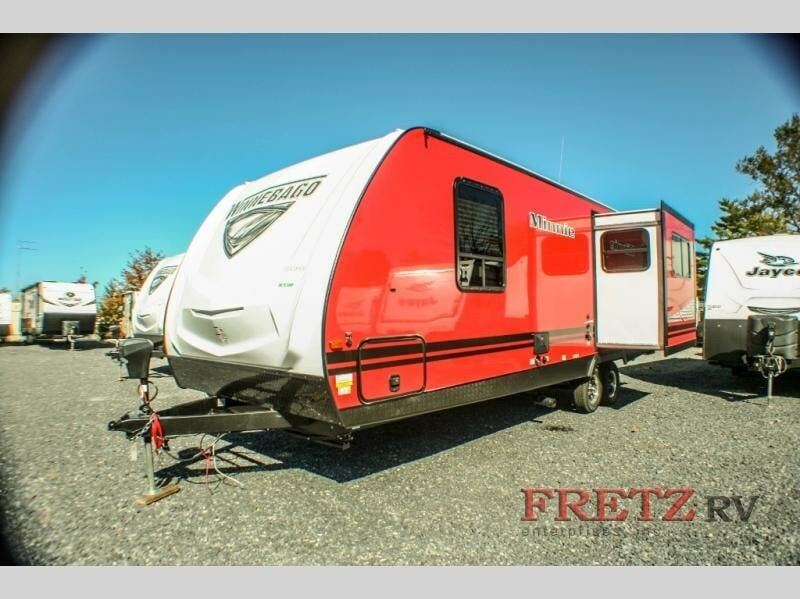 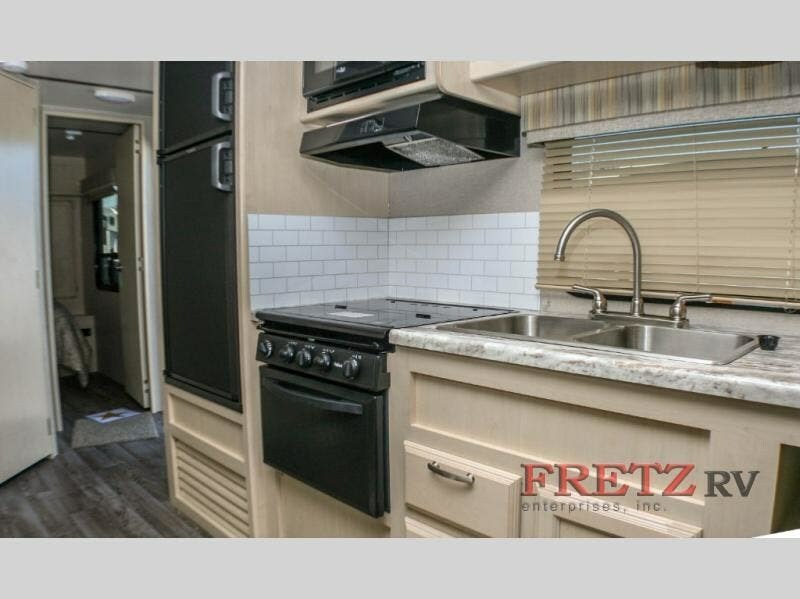 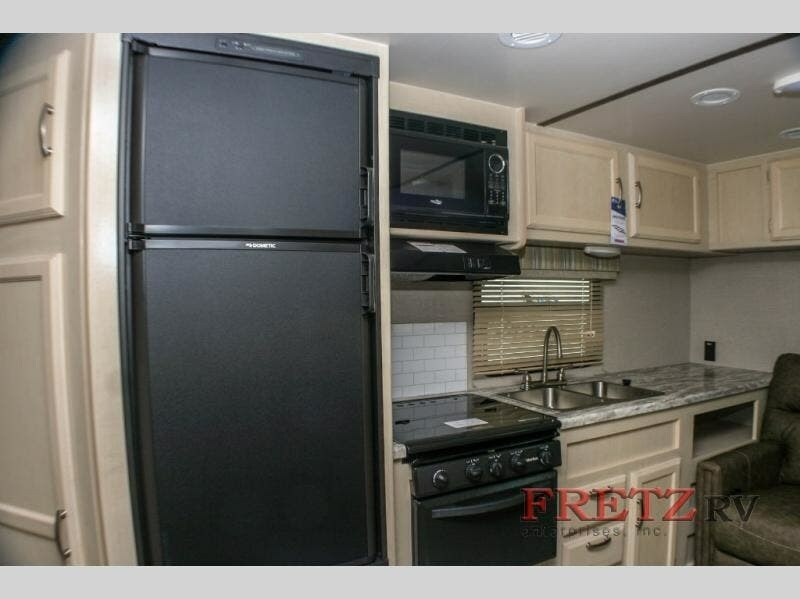 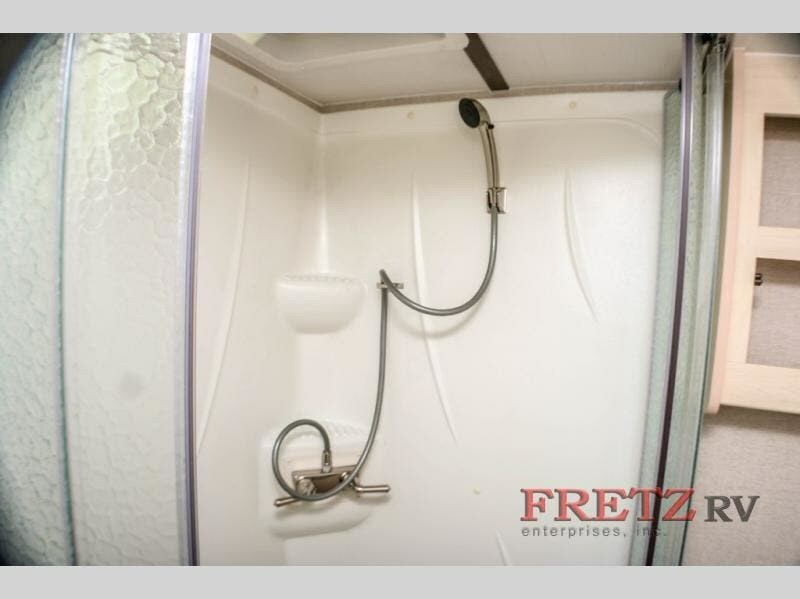 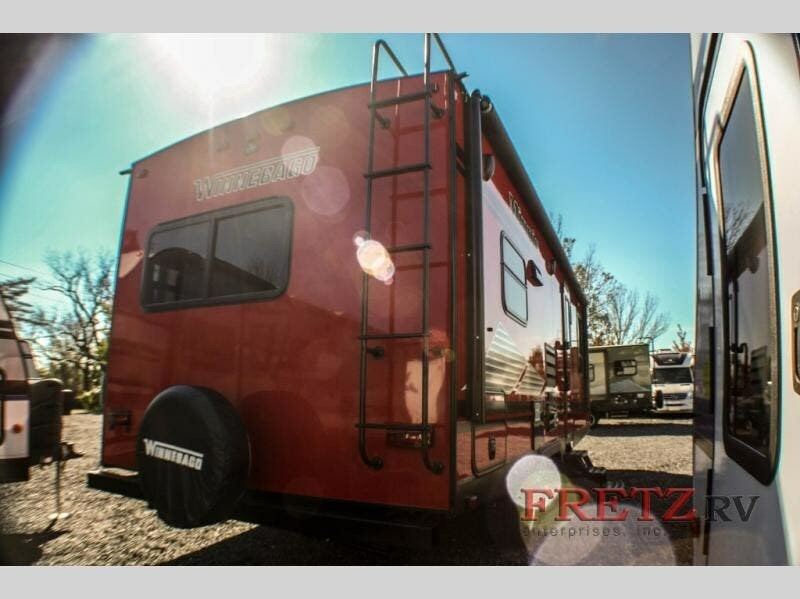 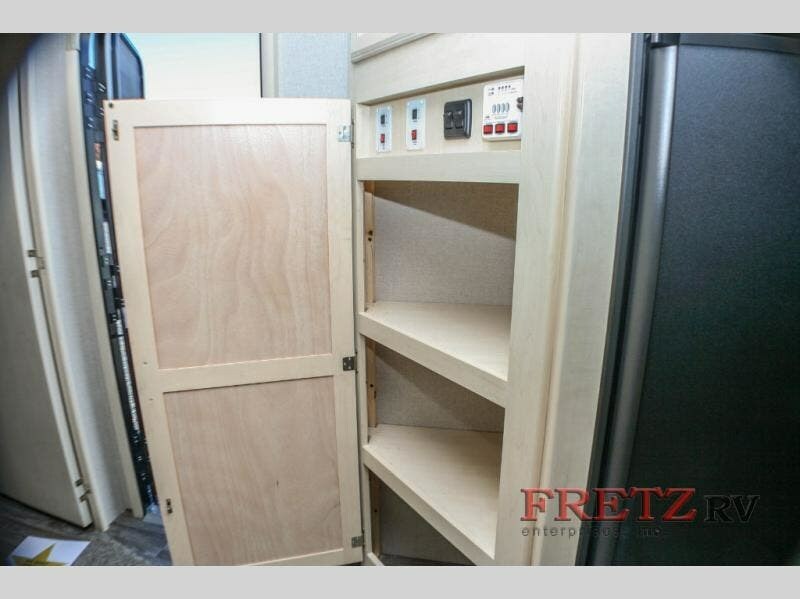 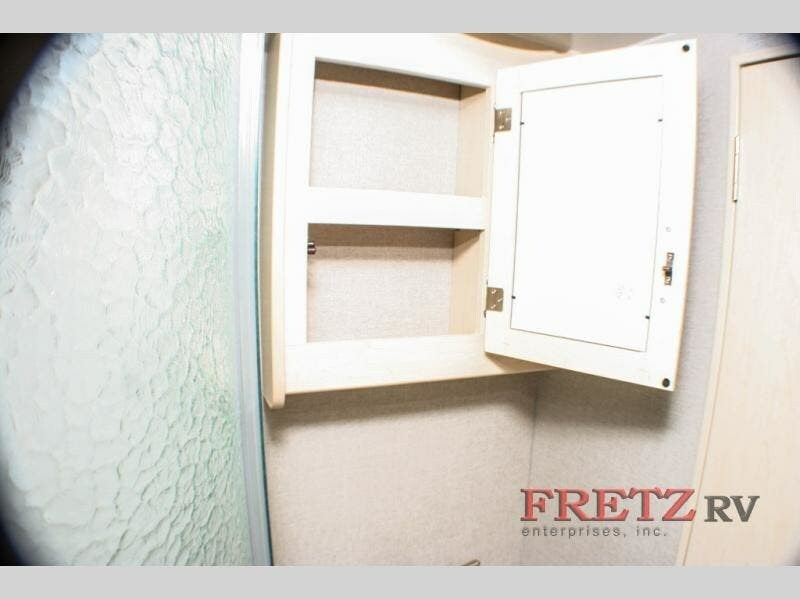 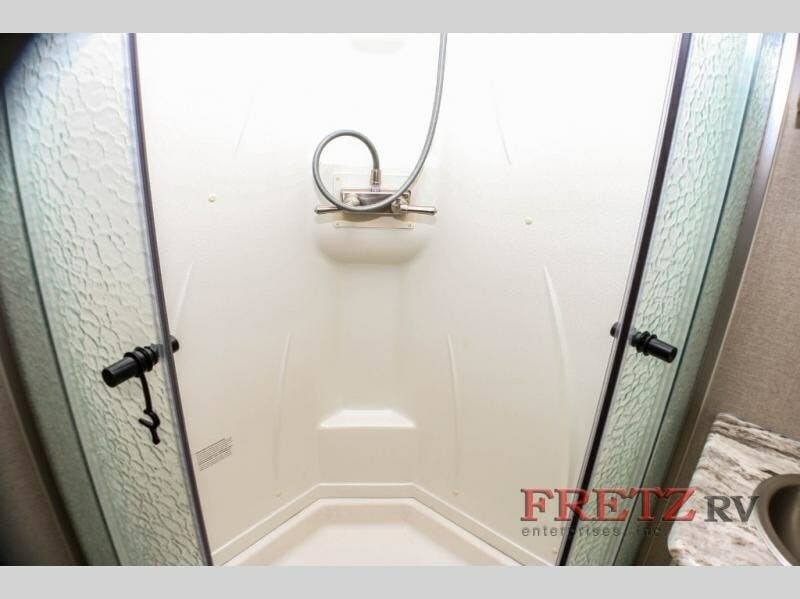 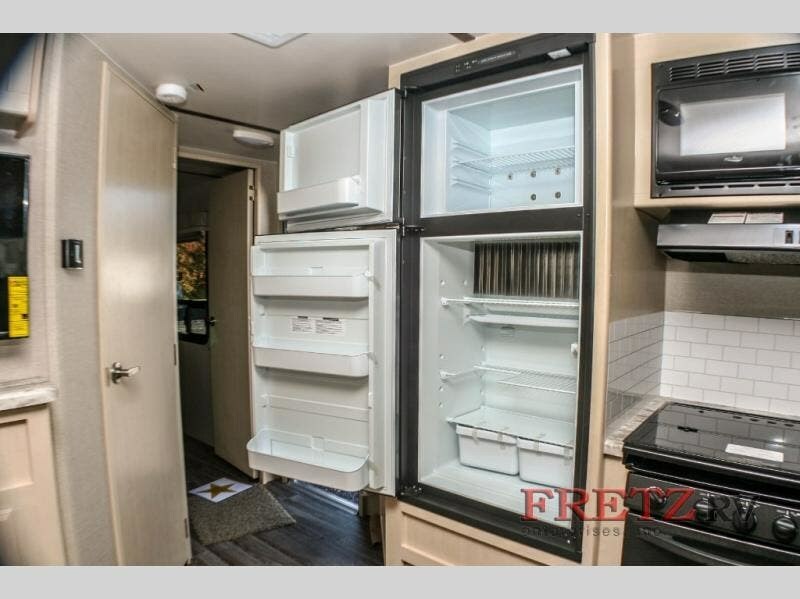 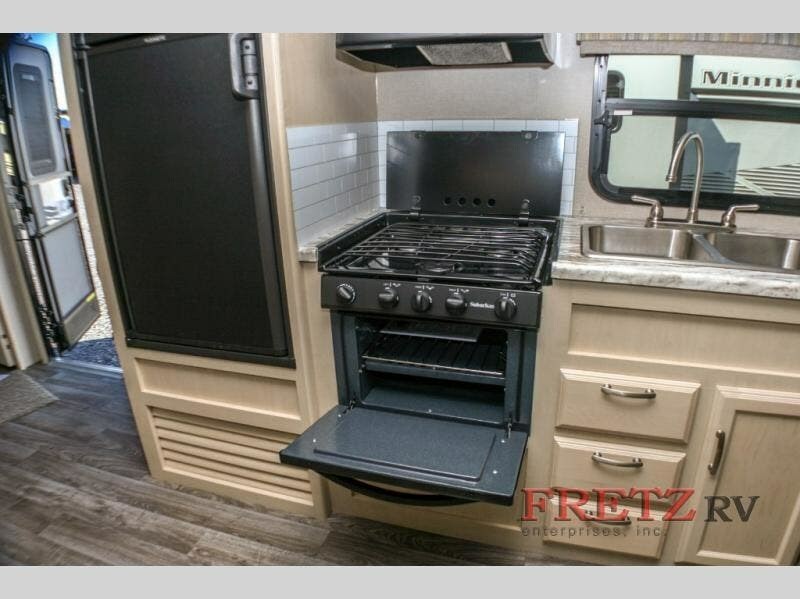 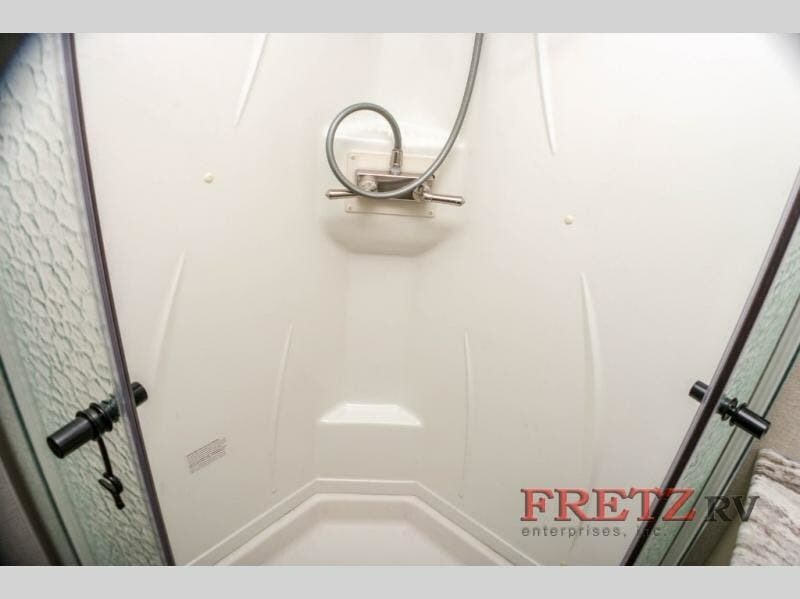 You can easily load and unload quickly with two doors leading in and out, plus when camping the private bedroom entry makes it easy to slip out and sit for awhile out under the awning while the kids are in sleeping up front. 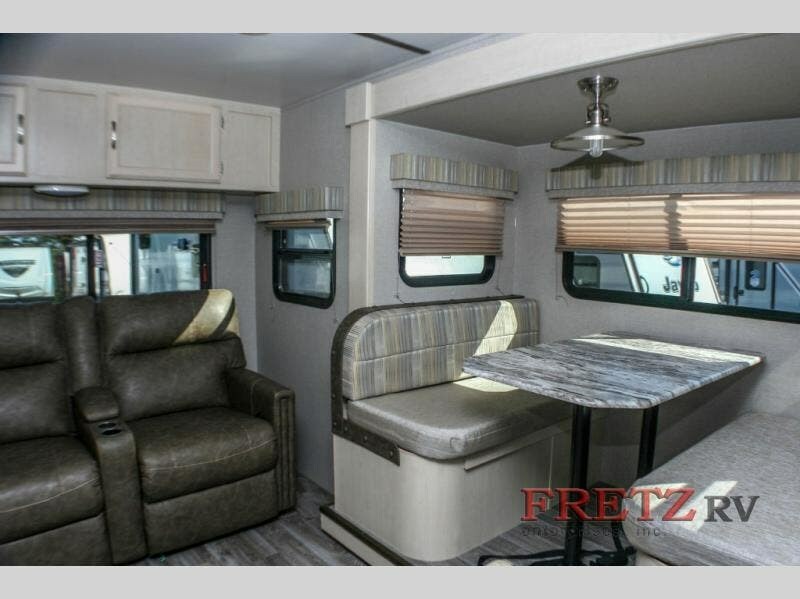 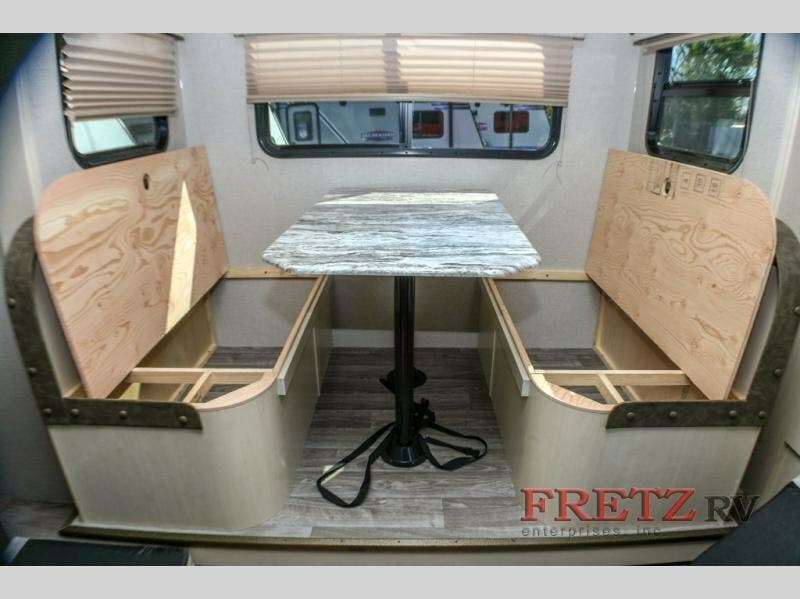 In front, you will find a full sofa and slide out booth dinette for relaxing, dining, or just enjoying the change of scenery while you read a good book! 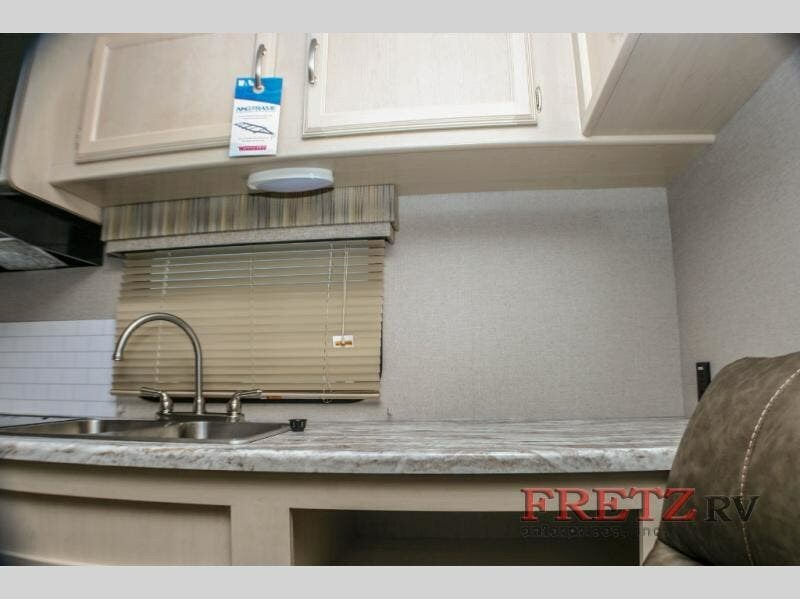 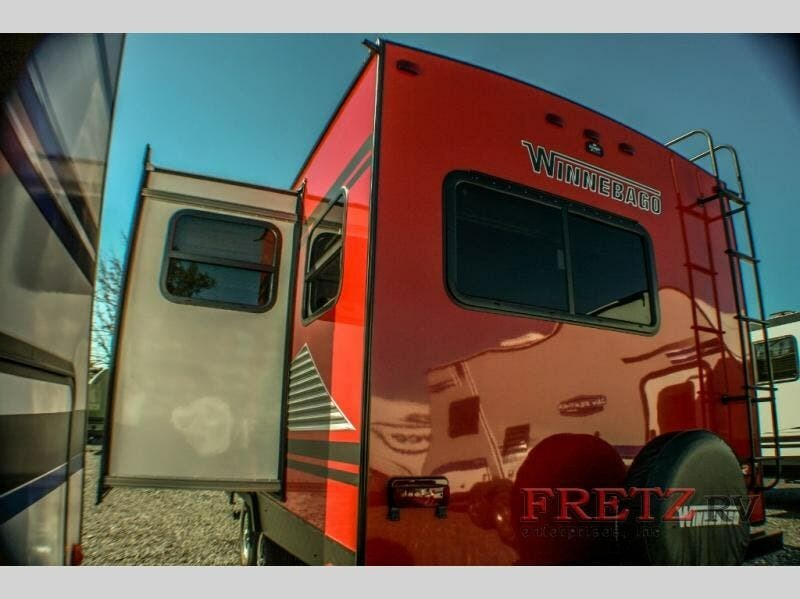 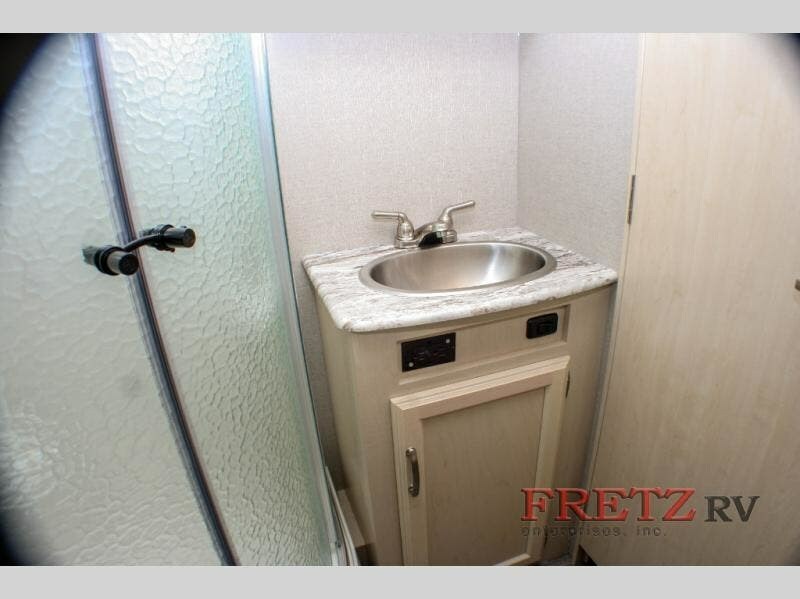 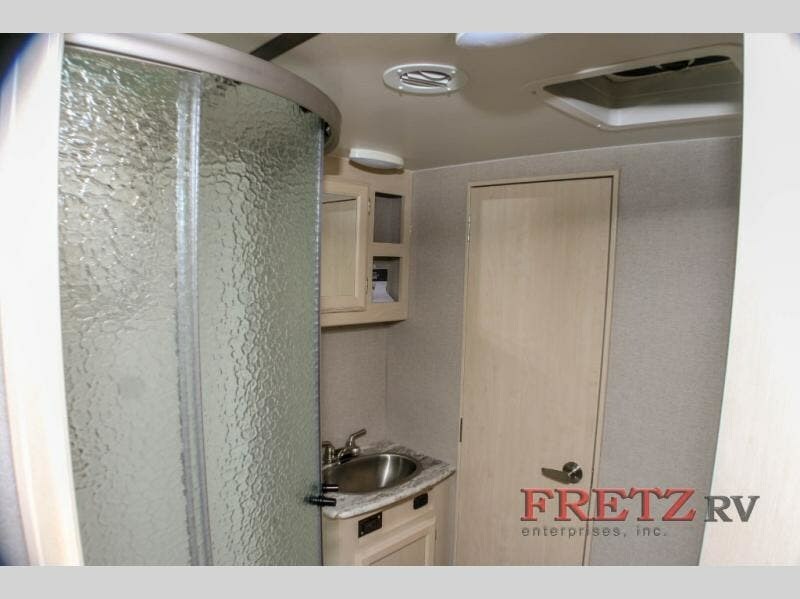 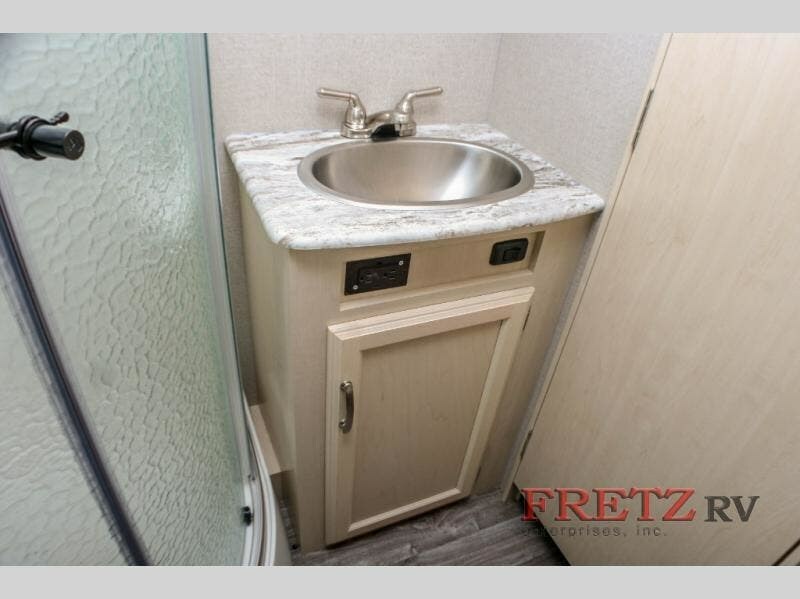 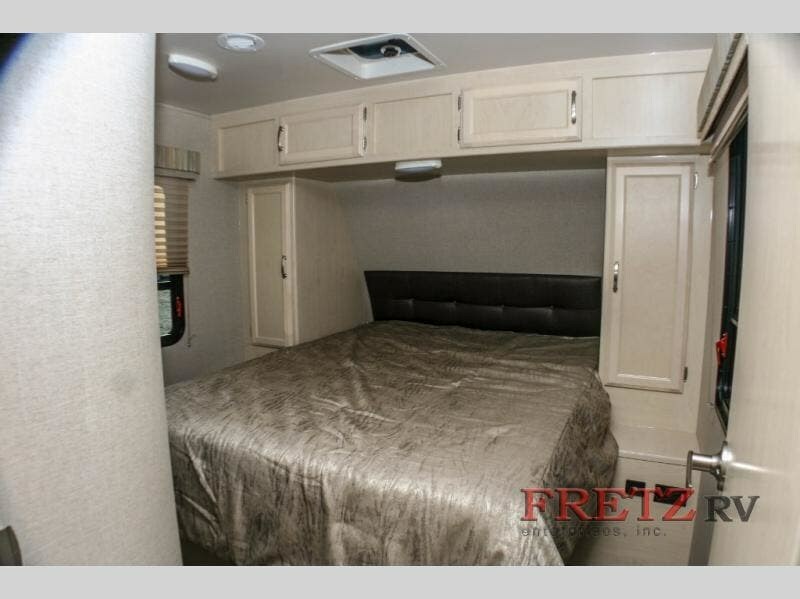 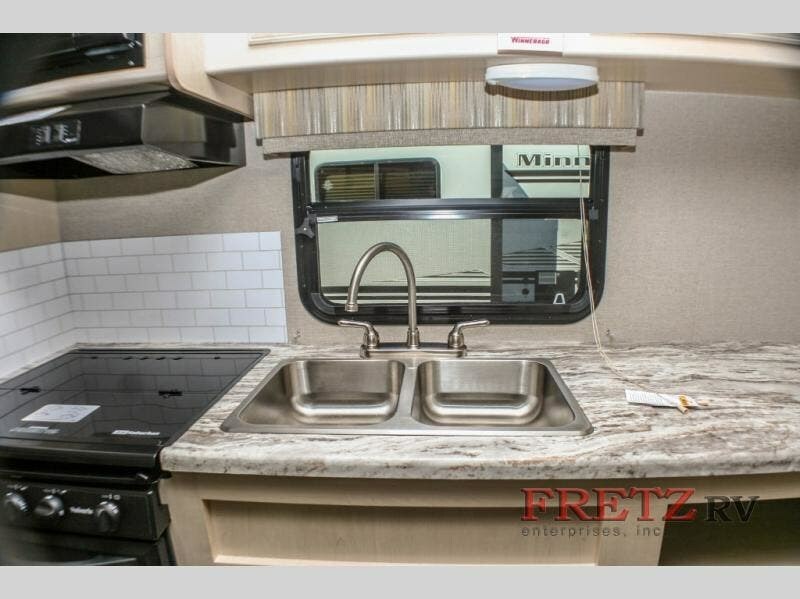 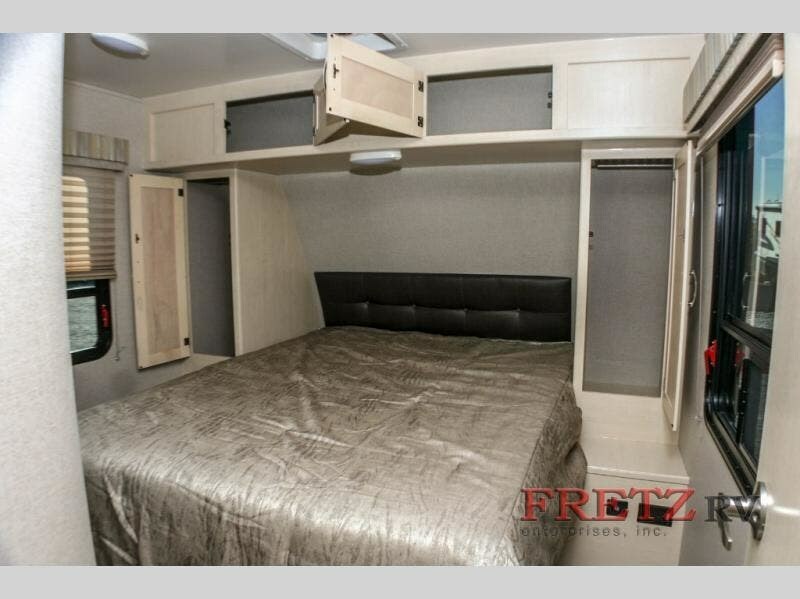 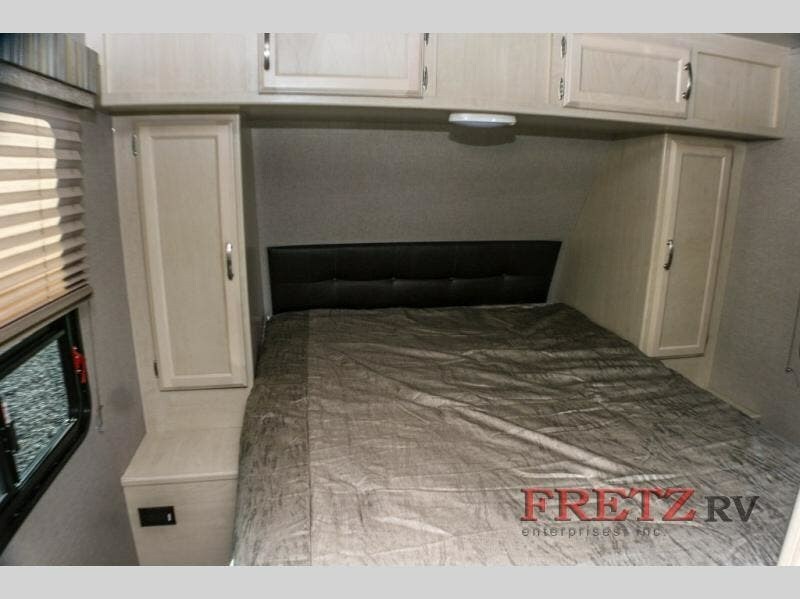 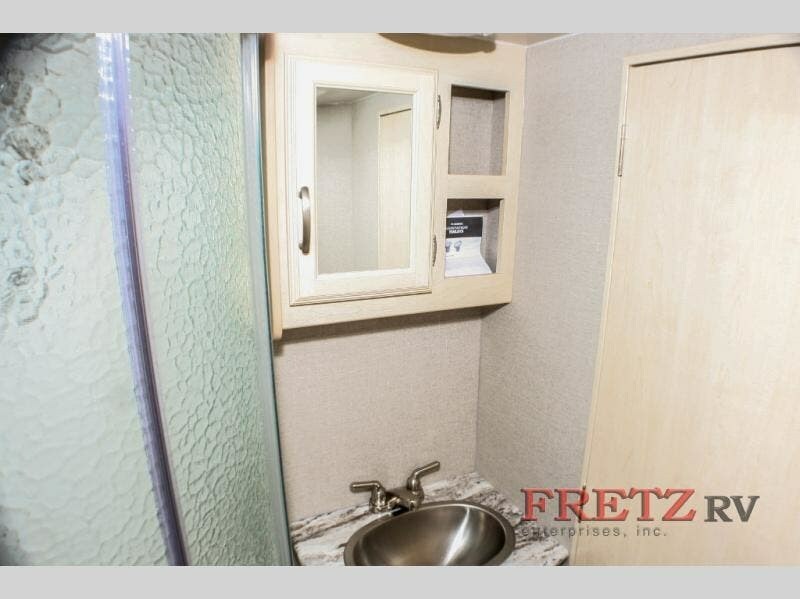 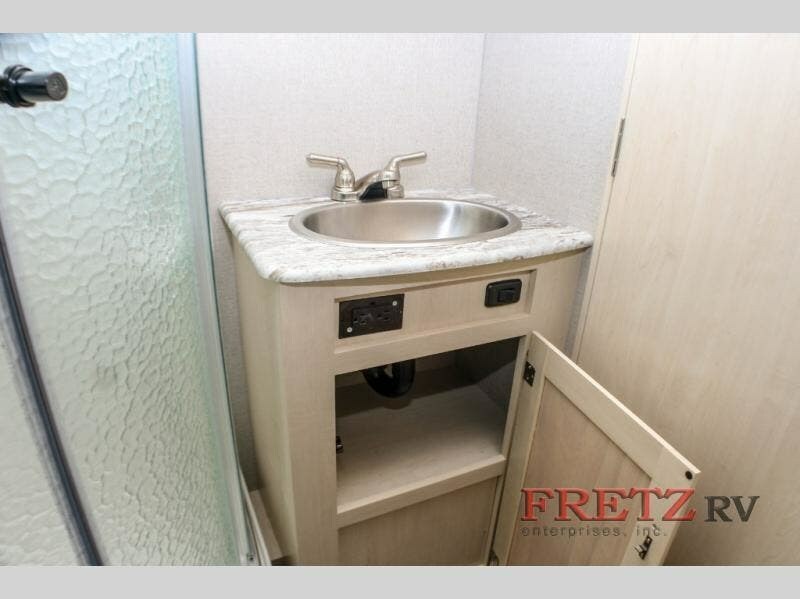 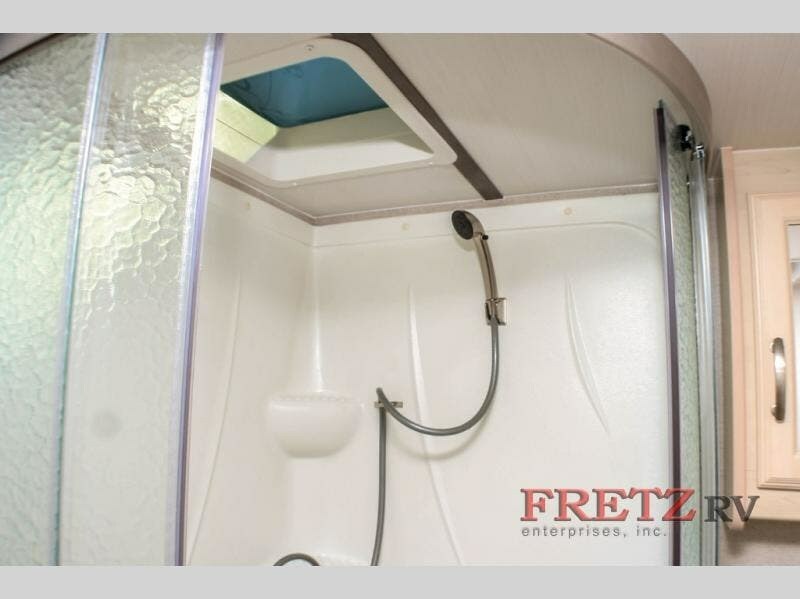 Check out Stock # H14964 - 2019 Winnebago Minnie 2500FL on winnebagorvsource.com!